Cape Coral fishing is full of surprises. With 400 miles of navigable waterways, it is home to more canals than anywhere else in the world. Sorry, Venice. 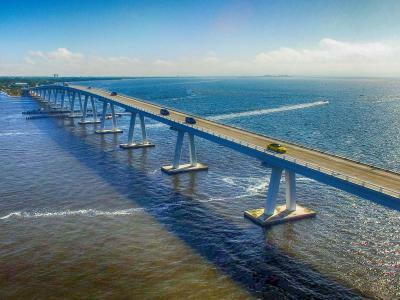 This is a place where you can catch a bruiser of a Largemouth Bass, an enormous shallow water Goliath Grouper, or even a 100 lb plus Tarpon. And you can do it all from your own backyard. Water-lovers, this town was designed specifically for you. Oh, and it also houses Florida’s largest population of burrowing owls. Just in case you weren’t convinced already. 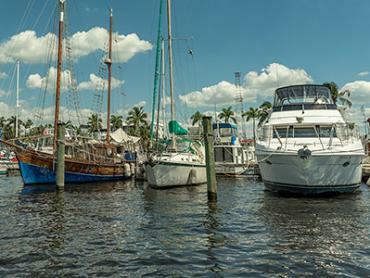 The first part of Cape Coral to be developed was Redfish Point. If anything bodes well for anglers, this has got to be it. And you could say the town started as it meant to go on. 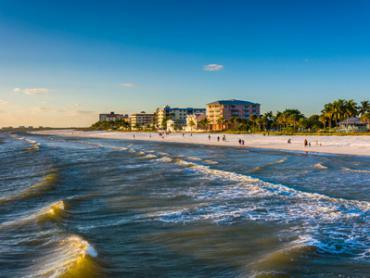 The town’s early developers built its extensive series of canals so that as many Floridians as possible could settle in to coveted beachfront properties. 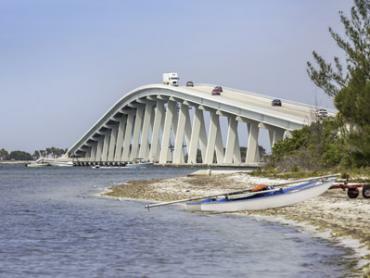 And with the Caloosahatchee River on one side and Matlacha Pass on the other, Cape Coral canal fishing offers extensive opportunities both for freshwater and saltwater anglers. As far as freshwater fishing is concerned, some of the best Cape Coral fishing spots are found in the northern and northwestern parts of the town. This is where you can regularly find Largemouth Bass from two to eight pounds, while Bluegill, Mayan Cichlids, Tilapia, and Shellcrackers also call these waters home. Get here via the BMX Boat Ramp just north of Trafalgar. This will give you access to lakes such as Shamrock Lack, Alhambra Lake, Lake Kennedy, and more. And if your property backs onto a fresh waterway, you could be catching Carp, Bass, Alligator Gar, and Catfish in your PJs. If you are lucky enough to live on one of the saltwater canals, you will be able to find pretty much all of Southwest Florida’s coveted inshore species swimming past your backdoor. 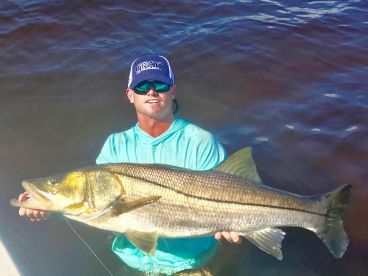 Anything and everything from Tarpon to Grouper have been reported to visit these waters, with Snook being a particular fan when the waters are too cold for them on the flats. Just be ready to catch a lot of Catfish in your search - these waters are full of them, and spiney ones can give you a nasty wound unless you de-hook them carefully. 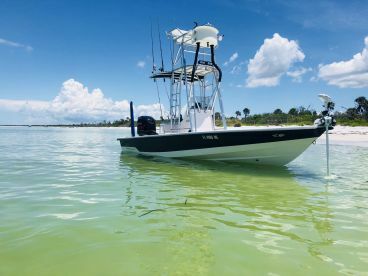 But while fishing in Cape Coral’s canals is certainly diverse, it can only keep the diehard (or fun-seeking) traveling angler entertained for so long. Luckily enough, Cape Coral is located in one of *the* migratory hotspots for just the type of game fish that make Florida famous. 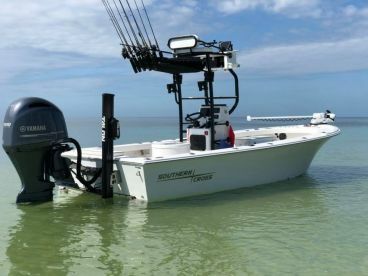 From catching Tarpon by Fort Myers Beach to fishing the offshore artificial reefs and wrecks for Snapper and Grouper, there is a world of opportunities out there for people with access to a boat and an experienced Cape Coral guide. 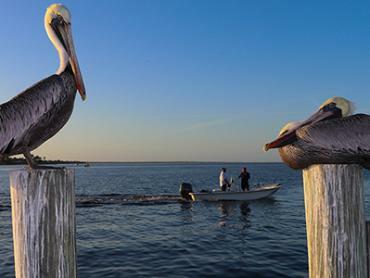 It’s not only experienced anglers who will enjoy fishing these waters - with Manatees, Sea Turtles, Dolphins, Bald Eagles and more sharing the ecosystem with the fish you are trying to catch, most fishing trips will double as a full-on eco-tour. Florida fishing licenses are obligatory for everyone fishing these waters - even those who are fishing from waterside properties will need either a freshwater or saltwater license depending on the canal. The good news for people taking a fishing charter is all registered guides will provide Cape Coral fishing licenses for everyone on the boat free of charge. Fish the canals for Snook when the tide is moving - just arm yourself with 20 lb braided line and some cut pinfish with jig heads and get ready for them to bite. 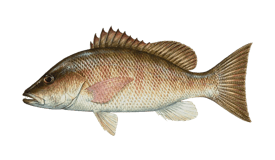 When there is no tide, look out for Sheepshead around docks. These toothy critters love shrimp, barnacles, and crabs and make for a great photo (and a good meal, if you can get someone to help you fillet them right). 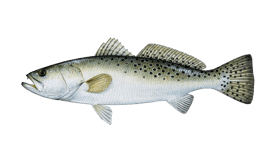 Speckled Trout, Tarpon, Stingrays, Pufferfish, Jack Crevalle, Whiting, and even Sharks can be caught in these waters if you time it right. If you’re up for a challenge, try a heavy tackle adventure with a 130 pound class and 400-600 pound mono fishing line and set off in search of a Goliath Grouper catch and release. 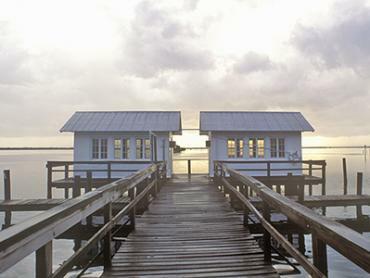 Otherwise, head to Matlacha Pass and sight fish for Redfish when the tide is low. 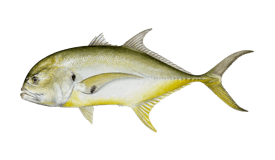 Offshore, troll for Kingfish, Wahoo, and Mahi Mahi, sight fish for Cobia during their migration, or bottom fish over reefs and wrecks for Snappers and Groupers. 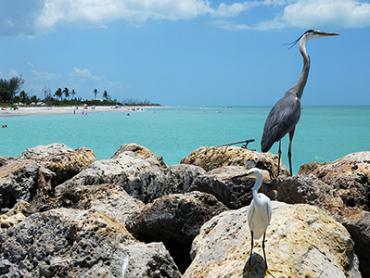 Cape Coral is a hotspot for snowbirds, and with its relatively warm winter temperatures, it's easy to see why. Trout and Redfish are biting well on the flats. Otherwise, test your strength against a Goliath Grouper in the backcountry. 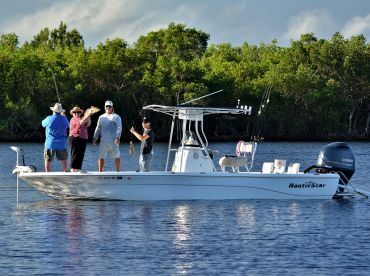 February is one of the coldest months of the year, and a lot of fresh- and saltwater favorites will make the most of the warmer waters in Cape Coral's extensive canal system. 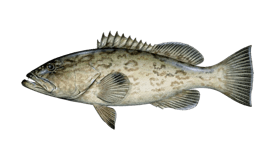 Look for Snook, Sheepshead, and Largemouth Bass. As the waters warm up, nearshore and offshore fishing improves. 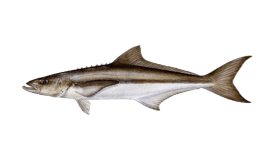 Cobia follow the current northwards past the local reefs and can be great fun to catch. 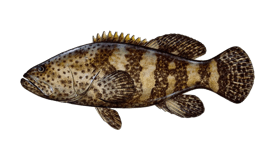 Red Grouper move closer in and can be caught on full day trips. 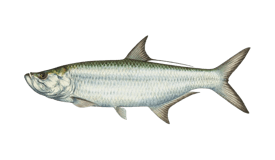 Head to Fort Myers Beach and the back bays to catch the influx of Tarpon, which becomes the talk of the town. Hungry Snook, Trout, and Redfish emerge from their winter hideouts and cause mayhem in the backcountry and flats. Tarpon fishing gets even better as they move northwards towards Boca Grande Pass. 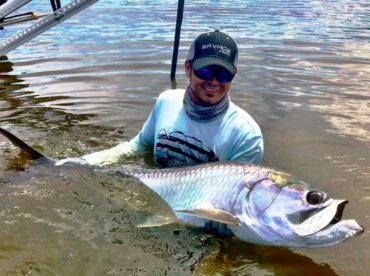 Watch out as anglers jostle to catch a Silver King 24/7. The local artificial reefs are bustling with Kingfish, Cobia, and Permit. Temperatures get very hot during the day, and both fish and people tend to run for cover. Look for fish in the colder waters by creek mouths or head out to the flats to target Sharks. Offshore, the Snapper and Grouper bite is excellent. This is the rainy season, and afternoon showers can come and go quickly but intensely. The best fishing is in the early morning when fish gather around jetties and piers. The offshore bottom fish bite remains very good. The fish can be lethargic in hot shallow water. 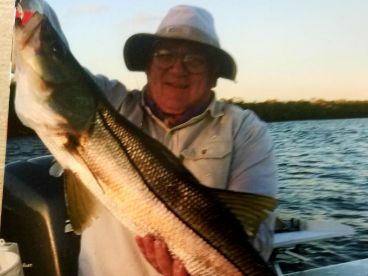 Look for Snook on the flats as they travel towards the backcountry lakes, or try night fishing around deep channels and bridges in Caloosahatchee River. Bottom fishing is good offshore. September is the end of the rainy season in Southwest Florida, but there is a risk of hurricanes. The water temperatures are still hot, but cold fronts may start to appear. Look out for Redfish spawning at the mouth of the Caloosahatchee River. October is a transition month for fishing in Cape Coral. As the temperatures drop, Redfishing picks up. The tides are low, making flats fishing extra rewarding. At the end of the day, don your lederhosen and visit Florida's largest Oktoberfest. The weather settles into its fall patterns. Cobia are migrating southwards back down the coastline, and Tarpon fishing comes to a close with the cold fronts. 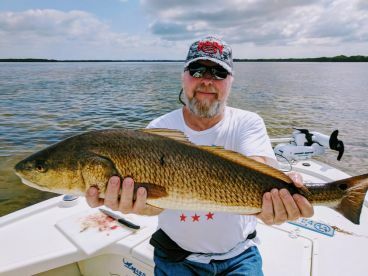 The Redfish bite is extremely good in the backcountry and flats. 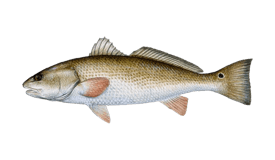 This is a good time for inshore fishing - the waters are clear and January's cold fronts have not yet arrived. Catch Snook and Redfish if it's warm and big Trout if it's not. Get in the festive spirit at the Christmas Boat Parade. "Half day with captain Lance"
"Half Day (4 hr trip) with Capt Andre Luttana"
It's a beautiful boat ride to your destination. "Outstanding day fishing with Captain Alan"
Book a trip with Spangler Adventures and Captain Alan will put you on fish. "Half day trip with Captain Lance"
Ask around and find the best fishing spots and the best bait to use. What would you recommend to anglers fishing in Cape Coral, Florida for the first time? What would you recommend to anglers fishing in Cape Coral, Florida for the first time?